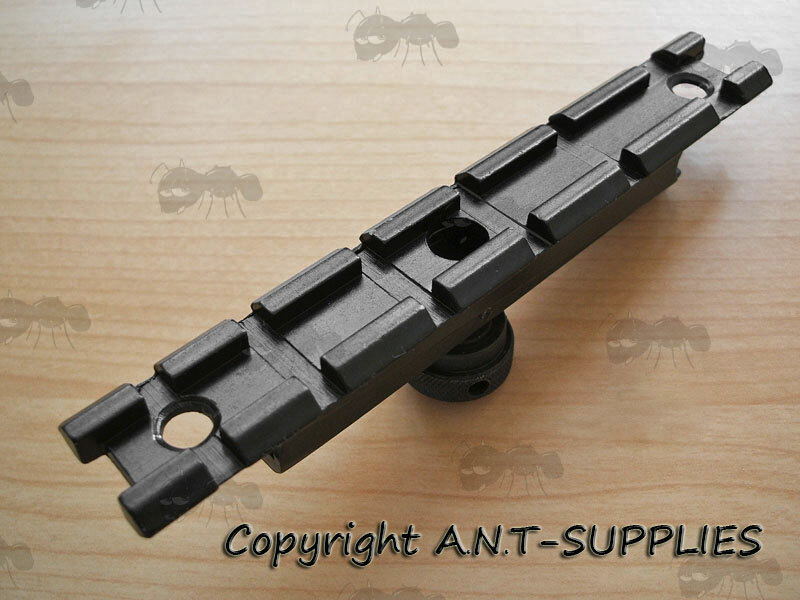 AR-15 / M4 / M16 carry handle rail mounts for fitting scopes, lasers, torches etc. 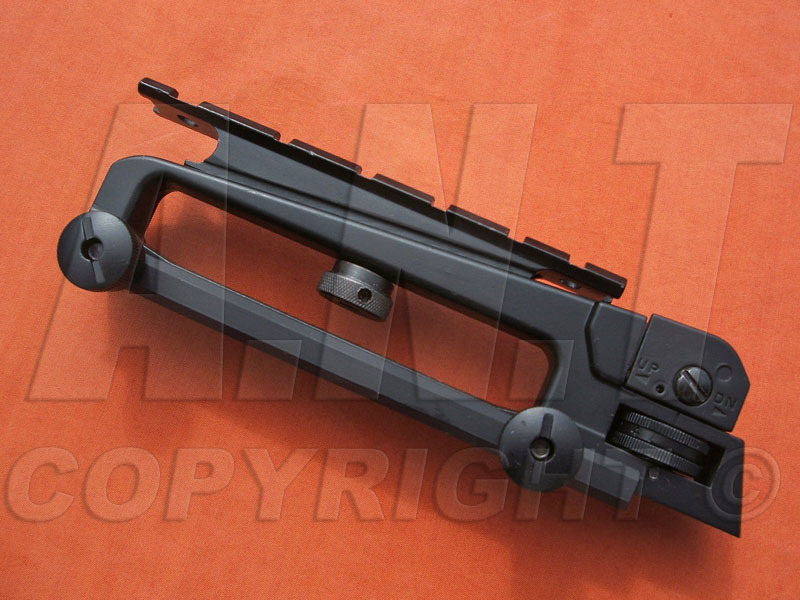 Also available ~ Scope ring mounts for AR / M4 / M16 carry handles. 11.25 inches / 285mm long overall. Provides a 20mm weaver rail fitting. Aluminium with steel fittings all in a matt black anodised finish. 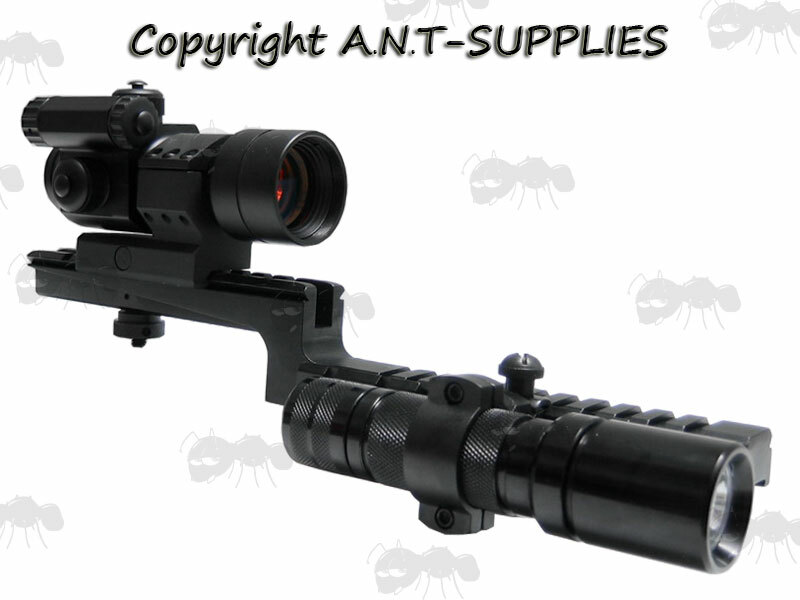 Slots into the carry handle bar of M16's / M15's / M4's to be capable of mounting various devices, such as scopes, tactical lights, red dots, lasers etc. 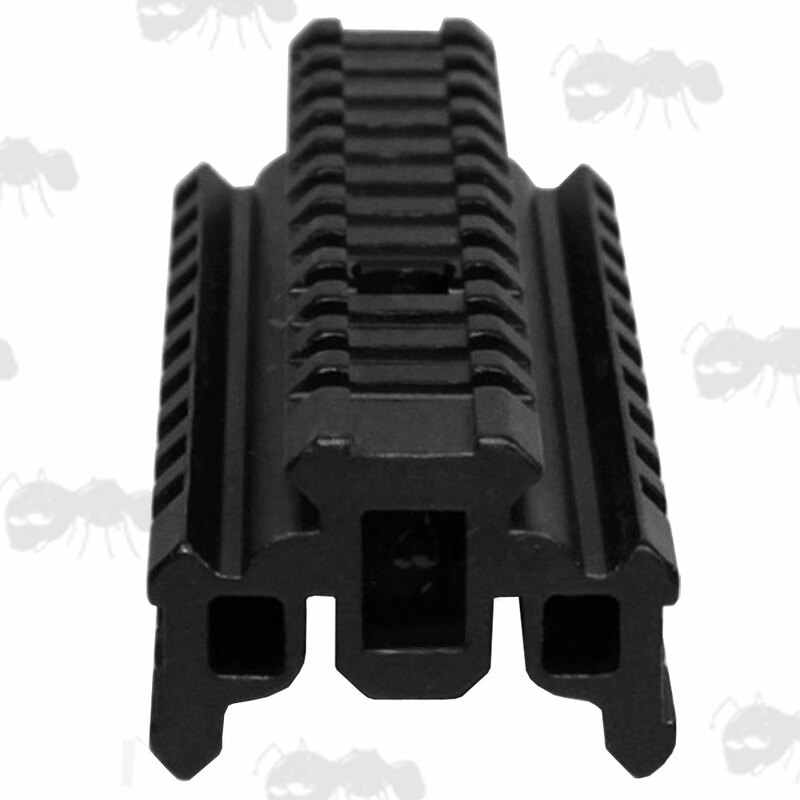 Easy and fast to install into the sight channel of your carry handle for very sturdy hold from the knurled fixing nut that slots into the carry handles hole for continuous zero hold. 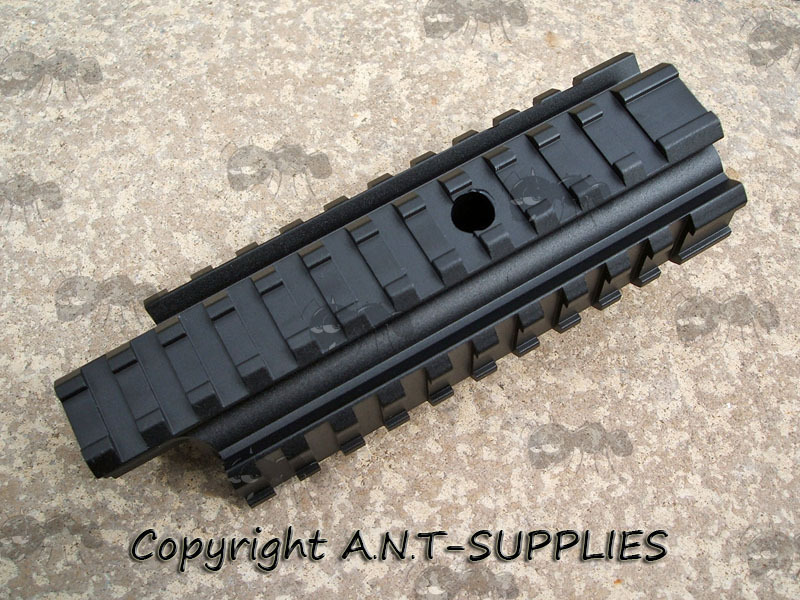 With rectangular see through channel bases to still allow the use of your iron sights. The single rail (long) model has two drilled holes if further fixing is preferred (screws not included). 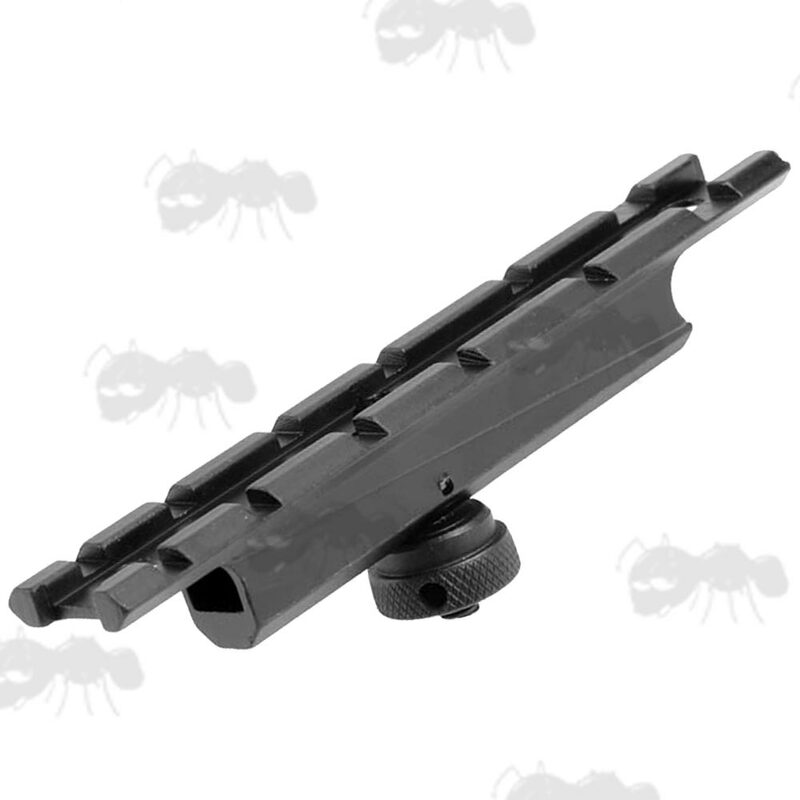 The bi-level rail has a fully cut out see-thru channel for the use of your iron sights. The lower section has two moveable side rail panels, that can be fitted on the left or right. 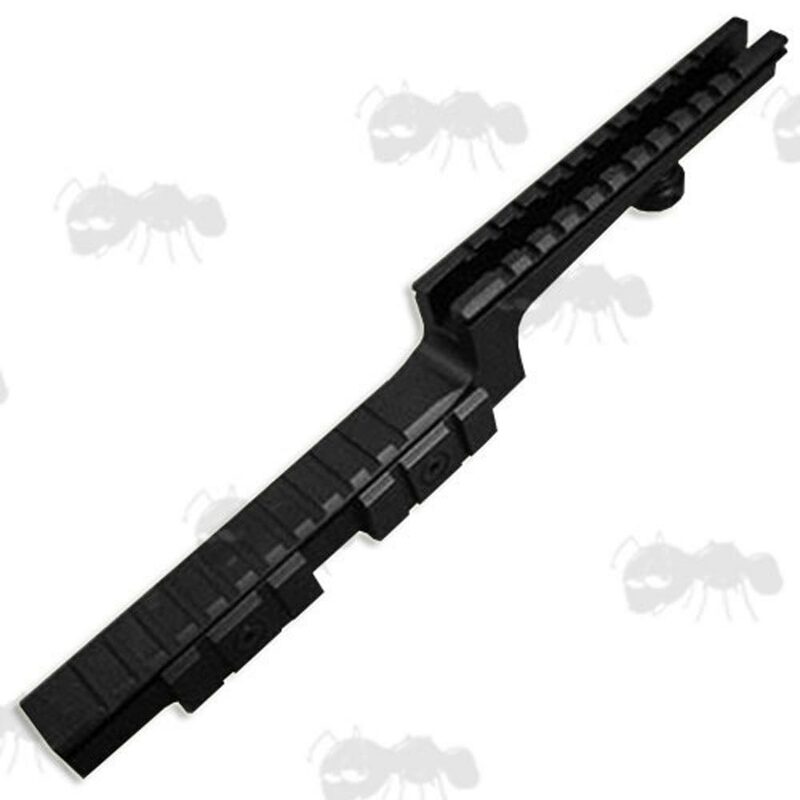 Also available ~ AR15 / M4 carry handles. Please note; the sight, sight mount, torch and torch mount are not included. They are for illustration only.